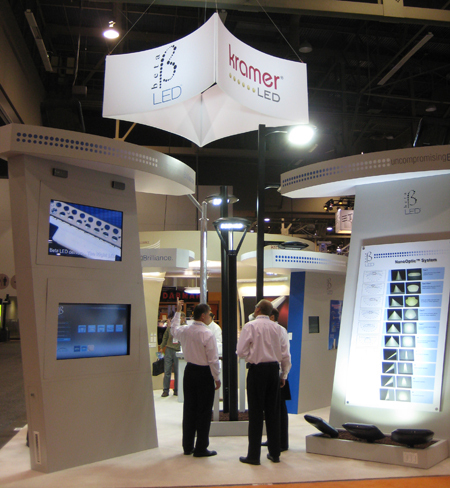 Kramer Lighting Case Study - Presenter’s kiosks, trade advertisement, co-branded sales kit development, trade show support. 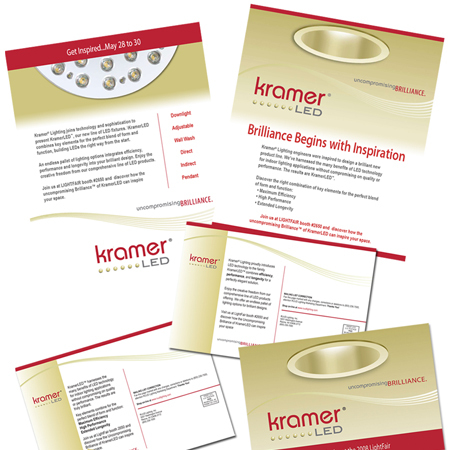 Kramer Lighting, co-branded with Beta Lighting, launched their new product lines using a new lighting technology based on LEDs. 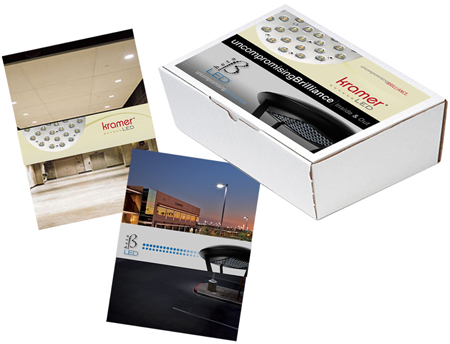 Kramer Lighting is focused on interior light fixtures, while Beta Lighting is focused on exterior light fixtures. They wanted to be co-branded together to provide a total solution to their clients. The launch coincided with the national lighting show, Lightfair International, held in Las Vegas. As part of this launch, they sent invitations to their clients, sales force and the press to attend their launch event. 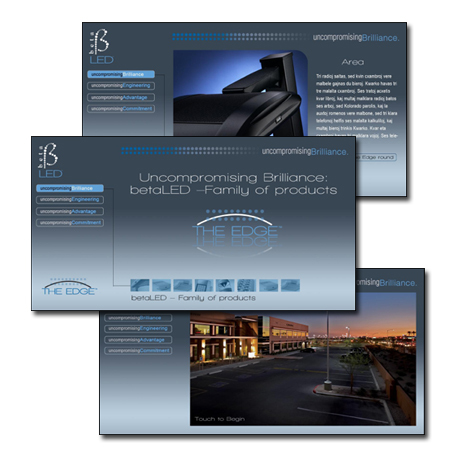 Evolution Point created a co-branded message – “Uncompromising Brilliance” – to tie both brands together. As part of the event, Evolution Point created several traditional direct mail, interactive direct mail, sales/media kits, several interactive kiosks to promote the event. 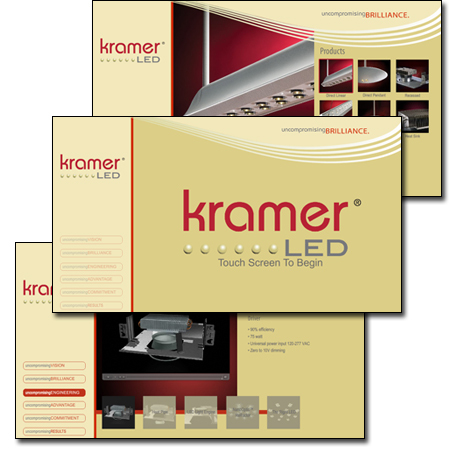 Presenter's touch-screen kiosk to educate about the benefits of LED lighting, and presenting KramerLED as the complete choice for elegant, indoor lighting solutions. Evo created an overall campaign to promote the KramerLED line of products. 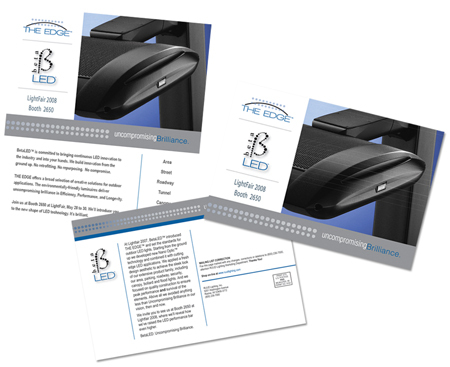 The campaign is executed using traditional direct mail, email blast, and trade advertisement. Putting it all together. 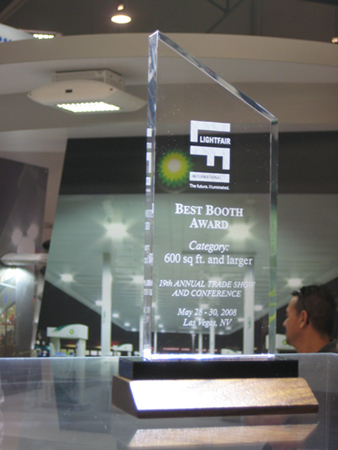 An image of one side of the award-winning booth. Evo created an overall campaign to promote the BetaLED line of products. The campaign is executed using traditional direct mail, email blast, and trade advertisement. Evo designed a combined co-branded sales kit for both brands. The box represents both brands and allow both companies to keep their collateral together into a single box for shipping. Also shown are brochure covers for the sales collateral for both brands. Congratulations to Beta Lighting and Kramer Lighting for winning the Best Booth Award for Lightfair International at Las Vegas Convention Center.